Bringing together interior design and architectural theory, this exciting text looks at the common practices of building alteration, reconsidering established ideas and methods, to initiate the creation of a theory of the interior or interventional design. Fred Scott examines in-depth case studies of interventional design from architectural history across the world – examples discussed are taken from the States, Europe and Japan. 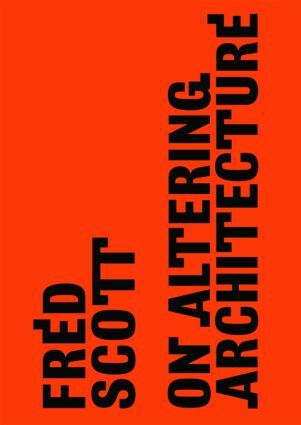 Scott expands and builds on the ideas of Viollet-le-Duc, structuralism and other thoughts to layout criteria for an art of intervention and change. The book draws on the philosophy of conservation, preservation and restoration, as well as exploring related social and political issues. For those in professions of architecture and interiors, town planners, and students in architecture and art schools, On Altering Architecture forms a body of thought that can be aligned and compared with architectural theory.